It is baffling that I’ve gone so long as a fan of progressive rock without giving Gentle Giant the time and attention their work rightly deserved. The Shulman bros and co. have become virtually synonymous with prog and all it’s entailed for good and bad. Fortunately I recently took steps to rectify this gap in my progressive education, starting with their self-titled debut. By all accounts, I’m glad I did. As early on as 1970, Gentle Giant were making music that bridged the gap between the ‘warm prog’ of pastoral contemporaries like Genesis, and the coolly calculated machinations of technique-oriented collectives, namely King Crimson. The result was a sound that confirms a great many of the expectations modern-day fans would have for the genre’s heyday. The quaint British-isms that fuelled the first golden years of progressive rock are here in tandem with the byzantine instrumentation that would give it lasting appeal. The style of Gentle Giant is hinted at on the album’s iconic cover; the face-centric art recalls In the Court of the Crimson King (from the year before) but while the King Crimson debut’s visage was contorted and expressionistic, the ‘gentle giant’ seen here is heart-warming and friendly. It’s not unimaginable that he’d probably want to invite you in for mead and venison if your paths crossed. 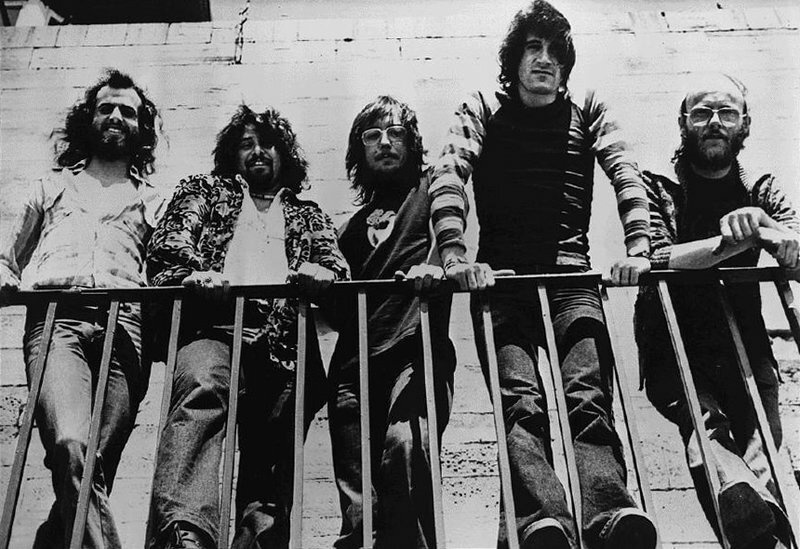 Although the more experienced Gentle Giant listeners tend to indicate 1971’s Acquiring the Taste as the point where things really started to get going for Gentle Giant, it’s clear that these guys already had a firm grasp of what they wanted to do and how to do it from the very start. While Yes and Genesis‘ respective debuts both struggled to find their style (Yes wouldn’t find it until their third, Genesis with their second), Gentle Giant is confident and precise from the first song to last. I’ve referred to 1970 in several reviews as the year prog and blues rock were most popularly conjoined, and it’s certainly true with Gentle Giant. Given that progressive rock was a fairly novel advent (and American blues was all the rage in Britain at the time) it’s little wonder Gentle Giant has its bluesy undertone. Gary Green (coming from a predominantly blues background) delivers crunchy blues riffs that would rival anything Cream or Taste were doing. While the sound of fuzzy blues guitar was far from alien in 1970 (even in so-called progressive music) Gentle Giantmanaged to integrate the blues undertones without losing the air of sophistication and challenging arrangements with which they would become synonymous. Take a gander at “Why Not?”, a great track that doubles seamlessly between straightforward blues riffage and angular prog passages. The fusion’s even more successful in the album’s would-be epic “Nothing At All”, which brilliantly manages to maintain the impression of ambitiously intellectual composition simultaneously with that of the straightforward blues rock energy. It seems as if every band in ’70 was trying to accomplish this sort of stylistic cross-cut, and Gentle Giant are among the very few to have ever convincingly pulled it off. Possibly even moreso than some of the better-regarded masterpieces in Gentle Giant‘s career, the self-titled offers excellent vocal work. Derek Shulman’s voice isn’t entirely unlike Peter Gabriel’s; there is a consistent warmth to Gentle Giant‘s vocal delivery, which plays nicely with the occasionally daunting instrumentation they were pulling on this debut. Although Gentle Giant already had their hearts set on making use of atypical ingredients on the debut (the set of instruments is nothing compared to what they’d try later on) Gary Green’s blues guitar possibly stands out to me as the most impressive instrumentation on the album! However, the full extent of their arrangements feels apparent in the parts where Gentle Giant is taking it easy and mellow. “Funny Ways” favours beauty over fireworks (this album’s “I Talk to the Wind”, anyone?) and does so with a layered arrangement of vocal harmonies and recorder. As much as Gentle Giant excelled with the straightforward rock, they fare just as well with the album’s pastoral moments. “Isn’t it Quiet and Cold” replicates the warmth of “Funny Ways” with an added sense of Medieval nostalgia. The contrast between the hot and simply warm moments on Gentle Giant keep the album engaging and dynamic. Of course, no talk of Gentle Giant could go without noting “Nothing at All”, which binds together the lively prog, the blus and pastoral acoustics together under one satisfying banner. It doesn’t quite strike me as an epic so much as another would-be softer piece with some welcome extended passages to boot, but the fact that Gentle Giant were able to wield their horn of styles simultaneously here without appearing contrived is a testament to their skill. In fact, the only song here that doesn’t give me that impression is “The Queen”- while it’s obviously intended as a sort of one-size-fits-all finale for the record, it’s a pretty undercooked footnote. I’d have imagined Gentle Giant could have mustered more to cap off their debut than that. All’s well in any case- “The Queen” serves its purpose well enough, and doesn’t really serve to diminish the album’s effect. 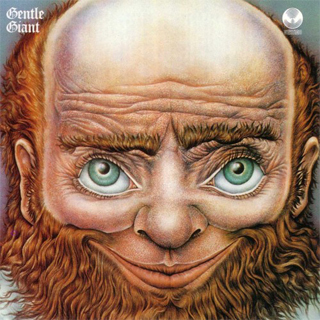 Gentle Giant‘s debut seems to get overshadowed by the grandeur of its (admittedly more adventurous) successors, but I don’t think it’s a fair legacy to what is easily one of the strongest debuts in progressive rock history. Smite me for saying so, but I think it’s an even better debut than In the Court of the Crimson King. Even though the following years would prove Gentle Giant had bigger, bolder places to go, it doesn’t reduce the impression of the self-titled as a work of effortless character and confidence. News, reviews, interviews, polls, charts and videos in the world of rock and metal. Copyright © 2019 Rocking Charts. All rights reserved.